The new business is the joint effort of cousins Nompumelelo and Bukwase Mgidlana and Nonisi Dlamini who say they’ve always wanted to conquer the world of business together. “Our cousin Bukwase created a Facebook page called Womyn Liberation to share positive stories about African women. We simply took this concept offline to create our clothing range.” The range currently consists of monochrome, unisex t-shirts which they plan to expand into more items of clothing within the next year. 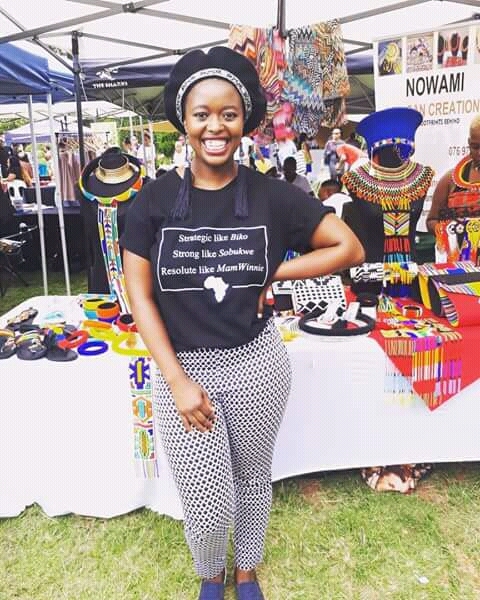 Although the primary target for Zintle Intokazi merchandise are students and other youth in Gauteng, the range has become a massive hit on social media – catching the attention of prominent figures like author of the popular Hlomu Series, Dudu Busani-Dube. 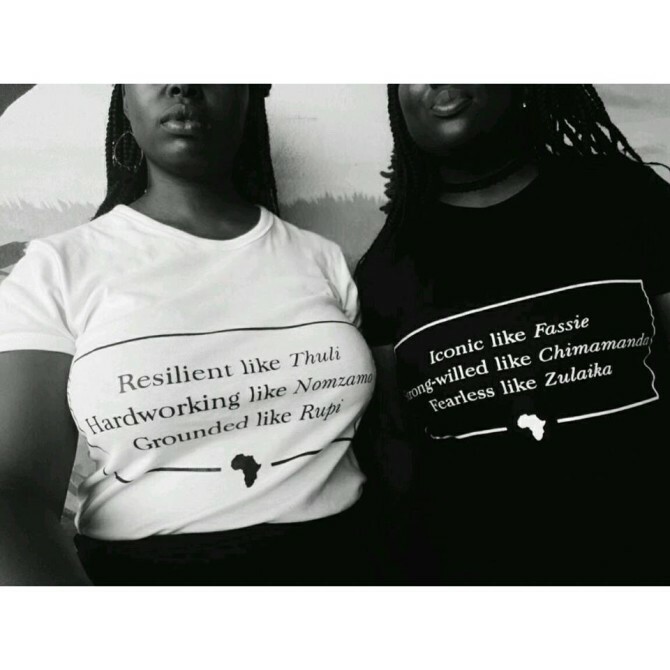 “Strategic like Biko, strong like Sobukwe and Resolute like Mama Winnie” is one of the reaffirming messages adorning the Zintle Intokazi range of t-shirts with the aim of allowing young Africans to celebrate themselves, their history and their identity with what they wear everyday. The decision to go into business as a family was both a natural and strategic one as the sisters wanted to capitalize on each other’s strength “Mpumi brings the creativity to the business, Nonisi is the manager while Bukwase is great with marketing.” They also draw from how their different ages allow them to bring diverse perspectives. 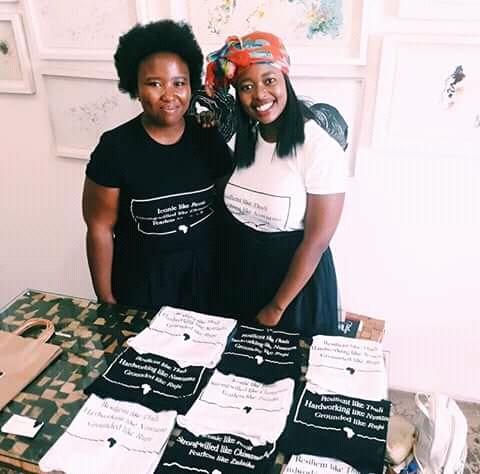 “We understand each other’s way of working and the age gaps between us mean that each one brings a whole new outlook to the business.” With an online store in the pipeline, plans to introduce an autumn and winter range and their first television appearance already in the bag, Zintle Intokazi is on track to becoming an African brand to be reckoned with.